In 1955, as a result of the praises and appreciation by the community towards MCA Youth, MCA decided to make its Youth wing, which was initially a part of the “MCA Political, Youth and Wanita Section”, an independent body. At the same time, as many of its state and divisional level Youth wings were formed, its first Youth wing Annual General Assembly was held in Kuala Lumpur where Tan Xuan Kok was appointed as the first Youth Chairman. In 1956, the Youth wing held its first Annual General Assembly whereby it was resolved that the Youth wing would be renamed the MCA National Youth. Following the call by the MCA National Youth, MCA Youth at all levels were formed nationwide. The recreational activities and sports events held by MCA Youth also received overwhelming support from youths. The MCA Youth then did its best in fulfilling the political mandate entrusted by its parent body, and participated in all the elections before and after Independence. At that time, it has made significant contributions to the Alliance. In important issues such as application for citizenship and registration of voters, it has played an important role by mobilising its members and thereby received praises and appreciation from members of the public. Cheah Theam Swee was appointed as the MCA National Youth Chairman in 1959. He successfully elevated the systematic organisational structure of the MCA Youth into a new level. Immediately upon his appointment, Cheah Theam Swee and his Committee members reorganised the internal structure of the wing and started to build closer ties with all State Youth wings. These moves united MCA Youth members and boosted the morale of its members. Thereafter, the MCA State Youth mushroomed across the country. MCA had thus benefited from a new image, one that is vibrant and thriving under Cheah Theam Swee’s leadership. The MCA National Youth collaborated with the parent body MCA at the federal level since 1960 and held a series of political cadre trainings to instill the right political thinking, and trained a group of dedicated warriors for democracy. During this period, our country was in the midst of forming Malaysia and we were faced with the opposition of the “Anti-Malaysia Front”, the infiltration and sabotages by the communists, as well as invasion by Indonesia. MCA Youth demonstrated a high spirit of patriotism by standing at the forefront in maintaining internal security and uniting the fight against external threats. At its fifth Annual General Assembly in 1962, MCA Youth held its first election at the federal level. Tan Sri Lee Siok Yew was elected as the MCA National Youth Chairman during this election. Nonetheless, he is still regarded as the third MCA National Youth Chairman. His tenure was met with the sense of uneasiness and insecurity by the Chinese community. As such, he led MCA Youth members to cooperate with all other races and shouldered the responsibility to protect the country by combatting the communists within. MCA Youth then was united and fought against the left-wing “Anti-Malaysia Front” till the end. At the same time, it has also fought against Indonesian militarism through both words and actions. During the same period, Lee Siok Yew also put forth plans to thoroughly restructure MCA Youth and to increase the number of MCA Youth branches. It was the rock solid foundation, coupled with the close co-operation between MCA and MCA Youth, which brought the party through much of its difficult challenges. MCA Youth also raised the standard of our national sports by exploring and cultivating more talents in sports. Tan Sri Lee San Choon was elected as the fourth MCA National Youth Chairman in 1963. He was committed towards recruiting more educated young professionals to join MCA to become cadres of MCA Youth. During his term as MCA National Youth Chairman, he was known for expanding the political scope of MCA Youth, as well as emphasising on the importance of economic power to the country. In 1967, Lee San Choon proposed a humbling initiative at the 10th MCA Youth Annual General Assembly. He proposed to establish the “Malaysia Multi-Cultural Cooperative,” which had a far-reaching impact on the Party. In order to achieve the targets of the New Economic Policy, MCA Youth advocated that non-Malay communities must be prepared, be self-reliant and be ready, to avoid being left behind in economic development. They should not sit around waiting for someone to allocate a share of the pie for them; instead they should work together to expand the economic pie of the country. Meanwhile, in conjunction with national youth cultural activities launched by MCA in 1964, MCA Youth made great contributions and achievements to this end. These cultural events were of multi-level nature, rich and healthy, aimed to guide young men and women who are lost to be back onto the right path. In addition, MCA Youth did not neglect sports activities for young people and introduced a variety of sports events, for more young people to participate. On 1975, MCA Youth elected Tan Sri Chan Siang Sun as its fifth National Youth Chairman. After Chan Siang Sun took office, he immediately took action and set the primary goal to revive part of the divisions and branches that had quietened down, in order to restore the prestige of MCA Youth nationwide. On top of helping the parent body MCA to promote party affairs and plans, MCA Youth also played an active role in implementing the Five Plans of MCA. In 1977, MCA Youth decided to raise funds to help MCA construct a new building, and thus launched the nationwide movement of selling golden bricks. Under the leadership of the MCA National Youth Chairman, MCA Youth divisions across the country responded to the call and pledged to raise over RM 1 million in construction fund for the new MCA building. Chan Siang Sun also advocated that MCA Youth must establish closer links with all Barisan Nasional Youth Component parties. On national affairs, he believed that MCA Youth could actively help the government in promoting the development and political stability in the country. He also encouraged young people to carry out more service works in villages and the rural areas, and to organize more cultural activities. Therefore, this session of MCA Youth focused its political direction on serving the people, neither haughty nor humble, they committed to fight for the interests of the nation, dedicated to shape the image of a dignified community, and spare no effort in leading MCA Youth to promote harmony and solidarity among the youth of various ethnic groups. Tan Sri Lee Kim Sai was elected as the sixth MCA National Youth Chairman in 1979. The MCA Youth under his relationship had occasionally met with some extremists who have created a significant number of sensitive issues which were aimed at the Chinese community. It appeared that there was a deliberate move to create different types of difficulties for MCA on its political journey. The Chinese community back then faced various threats, and the wave after wave of accusations had only caused the Chinese community to lose their hope and faith. In view of this, the MCA Youth had no choice but to uphold its calling by correcting the wrongs in the administration without fear or favour. It has went to everywhere in the country, met all the relevant authorities, discussed all the issues one after another, and resolved the difficult issues at hand. At that time, the Chinese community were disadvantaged for various reasons, and it needed someone like Lee Kim Sai who was outspoken and brave to lead MCA Youth in its role as a pressure group and to check and balance. The MCA Youth under the leadership of Lee Kim Sai created a refreshing image of being fearless in speaking out. It thus received praises and appreciation from the Chinese community. Such image was timely as the Chinese community then had faced many inequalities and injustice in the administration, and it needed MCA Youth to come forth and resolve these difficulties and crisis. At the MCA Youth Annual General Assembly in 1985, Dato’ Seri Kee Yong Wee was elected as the seventh MCA National Youth Chairman. After the painful internal struggles within its parent body, there were many issues that were waiting for the MCA Youth to resolve. On another hand, as the MCA National Youth Chairman, Kee had to put away past grievances and personal grudges to mend the scars left on the wing after the internal struggles of the party. After Kee Yong Wee was elected, he immediately announced the MCA Youth’s “Three Policies” for change, namely to be more efficient, to be organized and to be systematic, thereby setting up a labour service center, organising political forums and the establishment of the “MCA Youth Forum”. MCA Youth at the same time collaborated with MCA towards the building of a political image which portrayed that “MCA is the Chinese community, the Chinese community is MCA” through the nationwide “Goodwill Visit Month” roadshows. His tenure, whilst short, received commendable recognitions from the Chinese community for his contributions such as the “Chinese phonebook” incident and “change of road name” incident. In 1987, Dato’ Yap Pian Hon was elected as the eighth MCA National Youth Chairman at the 25th MCA Youth Annual General Assembly. The immediate task of the MCA National Youth Chairman then was to reignite the spirit of the wing and to reoganise the tasks of the wing. The issues that revolved around MCA Youth during that period was one of the most in its history, in terms of both numbers and difficulties. Every time when MCA Youth had spoken out for the truth, it was twisted by UMNO as challenging the dignity of the Malays or that it has hurt their feelings. As such, Yap Pian Hon had to be fearless in facing the ever changing scenarios and the challenges, whilst upholding the party’s principles in order for the party to sail through the storm and march towards the future. The MCA National Youth Chairman had emphasised that MCA Youth is the vanguard of the party, the pressure group of the Chinese community towards the Government, and thus carries the burden of shielding the Chinese community from remarks and issues which were aimed to harm the community. The activities of MCA Youth during this period was diversified, engaged in interaction with various parties and promoted activities that were beneficial to the youths. In 1990, Tan Sri Chan Kong Choy was elected as the ninth MCA National Youth Chairman at its 27th Annual General Assembly. After he took office, he consolidated the organisation and restructured the party’s operations. He traveled across the states around the country to strengthen ties amongst MCA Youth members, whilst advocating for MCA Youth to readjust its policies and strategies to move forward, to protect and fight for the interests of the people in a more effective manner. The MCA Youth in the 1990s can be said to be an era where it has restarted. Not only did MCA Youth continue its past spirit of being resolute and acting courageously by closely monitoring and supervising the government’s policies, it also constantly put forth its views to the relevant authorities. At the same time, it also broadened its scope of struggles, demonstrated through more diversified and concrete community services. Under his leadership, MCA Youth became more vibrant. The Public Speaking Center was established and cultivated many talented speakers. Chan Kong Choy also organised a series of large-scale programmes which were beneficial to the Chinese community, namely “promotion of youth participation in nation-building”, “promotion of Chinese culture and heritage”, “promotion of education through cycling tour”, “Chinese youths anti-drug campaign”, “promotion of education through marathon run”, “patriotic campaign to purchase local products”, “patriotic concerts by local artistes” and many other programmes. Towards the late twentieth century, mankind entered into an era of information revolution, where all kinds of technology and information technology not only shortened the distance between people, but also brought significant changes to our lives. Chan Kong Choy led MCA Youth and Chinese youth organizations to march into this new era of technology. 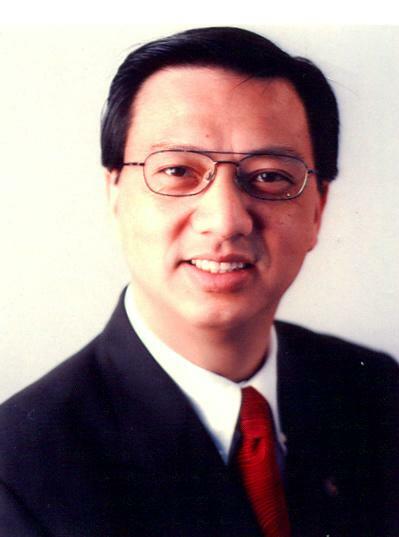 Tan Sri Ong Tee Keat was elected as the MCA National Youth Chairman in 1999. He advocated for an MCA Youth which fights for better democracy and greater space for expression. At the same time, he was also of the view that MCA Youth should nurture and cultivate young Chinese to be citizens who are more “participatory”, and emphasised that the grassroots and the people must be able to “discuss politics, speak politics and debate politics” in order to realise ideals. As such, apart from putting forth views and response to the issues and development of national and international affairs, MCA Youth has to plan and implement all ideas to nurture the Chinese youths in life planning and lifelong learning. MCA Youth during this period assisted the Chinese community to develop greater education opportunities, obtain scholarships and grants, handled appeals for admission of deserving students into local public universities and admission of Chinese students into MARA. These achievements are commendable. At the same time, MCA Youth promoted many youth activities, including activities on the streets, to allow more Chinese youths of the new generation to participate healthily whilst integrating with other citizens. In 2003, MCA Youth also followed the footstep of its parent body by limiting the term of the MCA National Youth Chairman to three terms or nine years. Liow Tiong Lai is of the opinion that in view of the new era, MCA Youth shall be more professional and become more youthful. He continued to recruit, gather, train and utilise the strength of the youths, and led this force to contribute towards the development of the party and the nation. In line with this belief, MCA Youth amended its By-Laws to include Central Committee members below the age of 35, to realise a more youthful MCA Youth. The MCA Youth under the leadership of the new MCA National Youth Chairman had put forward MCA Youth’s “1 Goal and 6 Agendas”. The Bureaus under the MCA Youth had actively organised activities to achieve these aims and objectives. These have fully demonstrated the power of unity and the attractive strength of MCA Youth. Through his leadership, a series of large-scale programmes to benefit the party and the nation was planned. Apart from the activities to celebrate the “MCA Youth’s 50th Anniversary” which reflected upon the journey taken by MCA Youth to be a part of nation building efforts, it has also organised trips to China, visits to all Chinese Independent high schools in Peninsula Malaysia, Sabah and Sarawak, a month long celebration in conjunction with the 50th National Day, “I Love My Home Malaysia” concerts and other events. During his tenure, MCA Youth not only was “brave to speak up and yet responsible”, it was also “astutely brave, caring and righteous”. This has led to MCA Youth effectively playing its role as a constructive pressure group. MCA Youth has spoken up on the music broadcast copyright saga, followed up closely on national policies, defended Chinese as the medium of teaching for Chinese primary schools, and also worked hand in hand with the parent body in many of the by-elections by becoming the vanguard of the party. Datuk Dr Ir Wee Ka Siong was elected as the twelfth MCA National Youth Chairman in 2008. Under the leadership of Wee Ka Siong, the MCA National Youth had implemented the “2gether Empower Youth” policy, and the age limit of MCA Youth members was lowered to 40 from 45 years in line with the decision unanimously adopted during the MCA Youth Central Committee meeting on 20 May 2013. These moves not only brought back the founding spirit of the party, but also introduced a brand new structure for the leadership of the MCA National Youth. During the era of Wee Ka Siong, MCA had unfortunately experienced two consecutive defeats in the general elections, coupled with continuous occurrence of some controversial issues affecting the harmonious relationship between the people of different races and religions thereby affecting the political, economic, cultural and education interests of the Chinese community. However, Wee Ka Siong remained committed to be “the vanguard of public opinion, and to not bow down to authority”, by leading the MCA National Youth to defend the rights and interests of the Party and being the vanguard of the Chinese community. Whenever there was any policy that violated the rights and interests of the Chinese, whether from BN or Pakatan, MCA Youth stood up and spoke out for the people. Education is one of the national issues which the Chinese community is most concerned about. Under the leadership of Wee Ka Siong, MCA National Youth, through the MCA National Youth Education Bureau and the MCA National Youth Vocational Education Bureau, has always been proactive in extending helping hands to assist the Chinese community to fight for more education opportunities, as well as to find solutions when situations became difficult or where there were unfair policies towards Chinese students. During his tenure, Wee Ka Siong was also the Deputy Minister of Education. By upholding the spirit of the party to fight for better education for the Chinese community, he relentlessly fought for the rights and interests of Chinese community in education, with support from MCA. In order to rectify the education system at that time, Wee Ka Siong cooperated with Chinese educational organsations to pool specific data and evidence, and thereafter presented them to the Minister of Education and the Director General, especially on the issue of the serious shortage of teachers and lack of funds for Chinese primary schools. Furthermore, he also helped many outstanding Chinese students in their appeals and admissions into local public universities as well as matriculation programmes, due to the controversies involving the selection criteria set out by the local public universities. As a result, MCA Youth stood high in the Chinese community for its contribution towards the younger generation’s education. MCA Youth’s membership was lowered to 40 years old and opened to young women to join the Youth wing in 2013 under the “2gether Empower Youth” policy and it was also the same year Datuk Chong Sin Woon emerged as the 13th MCA National Youth Chairman. Facing a younger and more vibrant Youth wing, the new leadership led by Datuk Chong Sin Woon had pioneered the “New Era”, a reform initiative with the hope of attracting more young professionals to join the Party in order the give the Party a new leash of life. MCA encountered severe defeat in the last two general elections and was at the lowest point that the Party had ever faced with the loss of majority of the youngsters’ support when he took over. Nevertheless, he was not disheartened or withdrawn and in contrary he led many MCA Youth members to go down to the grassroots and to listen to the people especially youth’s views and expectations towards the government or the Party. Whilst the Party is committed at upholding the principle of secularism, Datuk Chong Sin Woon and his team members had steadfast and fearlessly refute any political leaders who made racist or extreme remarks. In addition, he had also promoted an online MCA Youth e-journal so as to create a platform for members to share their views and to nurture critical thinking amongst members in the long run. In order to encourage more youths to venture into the flourishing agriculture sector, the leadership led by Datuk Chong Sin Woon had set up the Koperasi Petani Muda Malaysia (KPMM) with the aim of combining manpower, resources and funds to promote and assist the youths at developing the agriculture industry to greater heights. Furthermore, Koperasi Petani Muda Malaysia (KPMM) had also assisted its members at exhibiting their agricultural products, creating an agricultural brand of their own as well as improving our country’s food quality and its safety.